Did you replace your car battery or was it disconnected for many hours? A keyless entry system has a small backup battery usually. The battery's only purpose is to give the system enough power to retain the memory of the existing remote's codes. 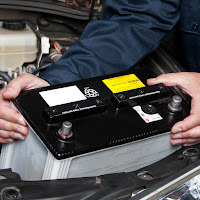 Once that internal battery is dead, if the car's battery dies, the systems stored memory will fail and the car will stop responding to the remote when your car battery is charged or replaced. Disconnected or dead car battery can sometimes erase your alarm system's memory, so reprogramming the car remote would be necessary. If you have a Factory alarm system, you can refer to your remote's manual and perform the programming steps. Same thing should be done with the Aftermarket alarm systems but most aftermarket receivers has valet switch or button which turns the programming mode ON. Sometimes when alarm shops installs an aftermarket system with a valet switch or button they don't mount the switch or they don't hook it up completely. What you will need to do is to look for the Aftermarket system installed in your vehicle. The receiver can be typically found under the dash near the pedals or could also be anywhere in the vehicle. 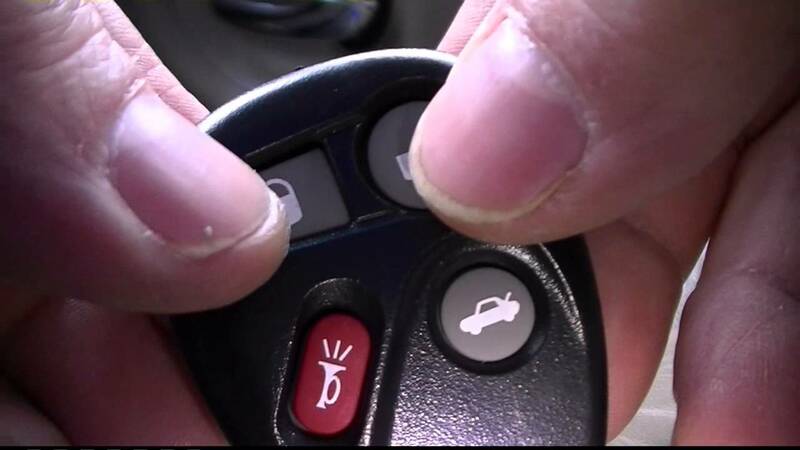 If you can't figure it out yourself, a local automotive locksmith can help you with factory remotes and a local car alarm shop can help with aftermarket remotes. Alternatively, you can buy another remote from us and get free tech support for it and your existing remotes. Some consumers are actually not aware that remotes requires programming in order for it to work. 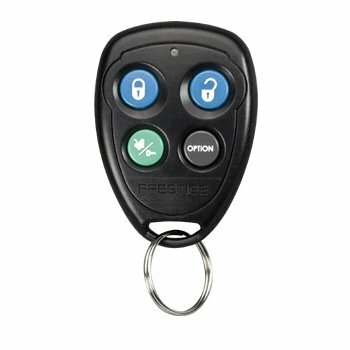 New Remotes for your Factory Keyless Entry or Aftermarket Alarm System won't work with your vehicle just like that right after you took it out of it's packaging. If it were to work that way, anybody could purchase the same remote and control your car or truck. These remotes are only supposed to be synchronized to your vehicle's system and nothing else to avoid unwanted scenarios like, getting your vehicle robbed or accessed by anybody without your permission. And that is why programming is a MUST that is designed into the system. 1. Inserting the key in the ignition. This step typically tells your car's system that an authorized person is trying to program a new remote and to give the system electrical power. 2. Putting the system in programming mode. For vehicles that are on board programmable, there are certain things that a user must do or perform which they don't normally do when they're using their vehicles on a daily basis. Like, pressing the valet button or switch multiple times or turning the key on and off in the ignition a couple of times or more. But for vehicles that are NOT on board programmable, requires a Locksmith or a Technician equipped with Scan Tools which they connect to the vehicles system to get a new remote programmed. 3. Pressing buttons or a button on the remote while the system is in programming mode. By doing this, the system will be able to understand the remote's code and save it in it's memory. There are systems that automatically deletes all of the saved remote codes in it's memory once it successfully entered programming mode or a new remote has been programmed. So if your system works that way, make sure to reprogram the old ones that are still working if you wish to keep on using them. 4. Taking the key out of the ignition or simply turning it to the OFF position. This is what usually is done when turning off the programming mode for a system. than the original but works the same. FCC ID: ELVAT5B - APS350A, APS15KB, APS25KB, APS100, APS200, and APS300. S99BT3BCF431, APS99BT3BCF434, PROOE4, and APS2K451. PCB ID: ATAF 9644, PRO9649. PCB ID: N/A PRO9842B, and PRO9845B. PCB ID: N/A PRO9644, PRO9649. FCC ID: N/A - PS130I, PS230I, PS330I. FCC ID: BGAAV2T - APS15CL, APS25CL, and APS35CL. FCC ID: ELVAT0D - APS511C, APS590, APS596, APS610A. PCB ID: N/A Systems: APS998, APS997, APS905, and APS597. AX500, AX510, AX700, AX900, AX901, APS596A, and APS510B. Battery Part: GP23A APS996A, APS996C, and APS997. Battery Part: GP27A APS996A, APS996C, and APS997. APS2K4MSFLCF112P This remote is classified as an Audiovox Type 6 Transmitter. FCC ID: ELVAT0H - This remote was made for these Prestige System: APS510A. PCB ID: ATFC XR6900, XR9000, PRO9801XR, PRO9276XR. PCB ID: ATFC XR9000, PRO9801XR, PRO9276XR. FCC ID: H50T43 - APS45N, APS620N. PCB ID: ATNCA in your car: PRO9644E and PRO9556E.